Washingborough Road will be closed between 8pm and 6am on Thursday and Friday this week as part of the latest traffic improvements in Lincoln. Motorists wanting to travel along Washingborough Road will be diverted via Washingborough Road, Station Road to Branston, Lincoln Road to Canwick then into Lincoln along Canwick Road and vice versa. Pelham Bridge will also be closed on May 1. Sam Edwards, projects manager from Lincolnshire County Council, said: “The improvement works that we are carrying out will help to ease congestion and improve safety on this major route. 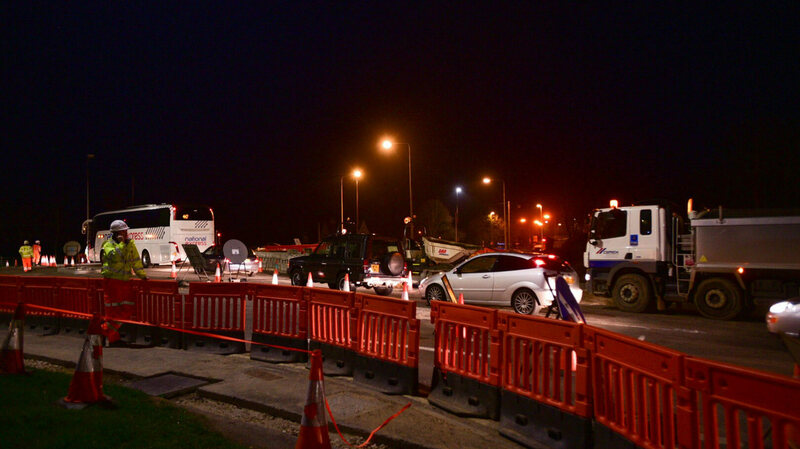 “Overnight closures have proved to be a great success, enabling work to be carried out quickly and safely and with minimum disruption. As previously reported, Canwick Road will be closed overnight until the end of May to complete the final phase of the project. Each night the exact section of road which will be closed will change depending on the work being carried out.